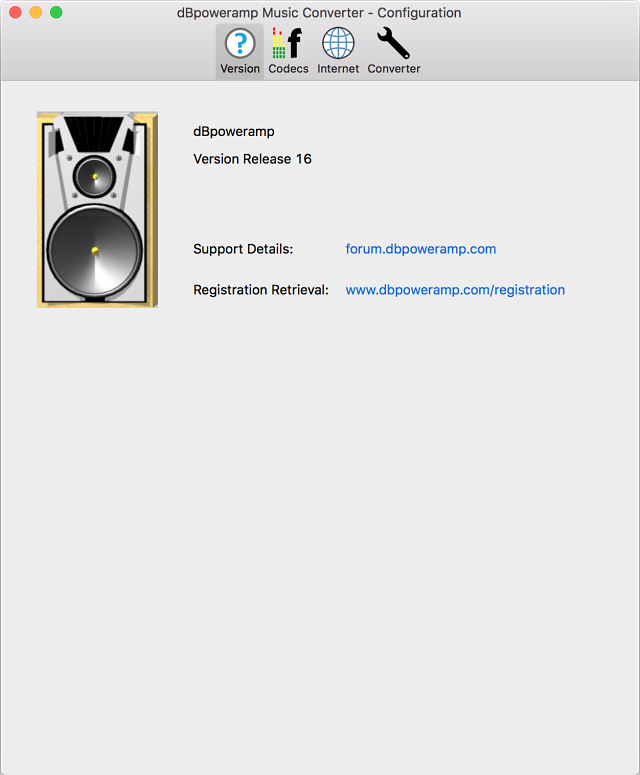 Main component of dBpoweramp, shows registration status. Lists all Codecs installed within dBpoweramp and the version. Clicking Advanced Options shows codec specific options and ID Tag creation defaults. Contains a global switch to disable dBpoweramp from accessing the Internet, if unchecked then AccurateRip & all meta data sources will not work. If a proxy is required for a computer to access the internet, it can be specified. 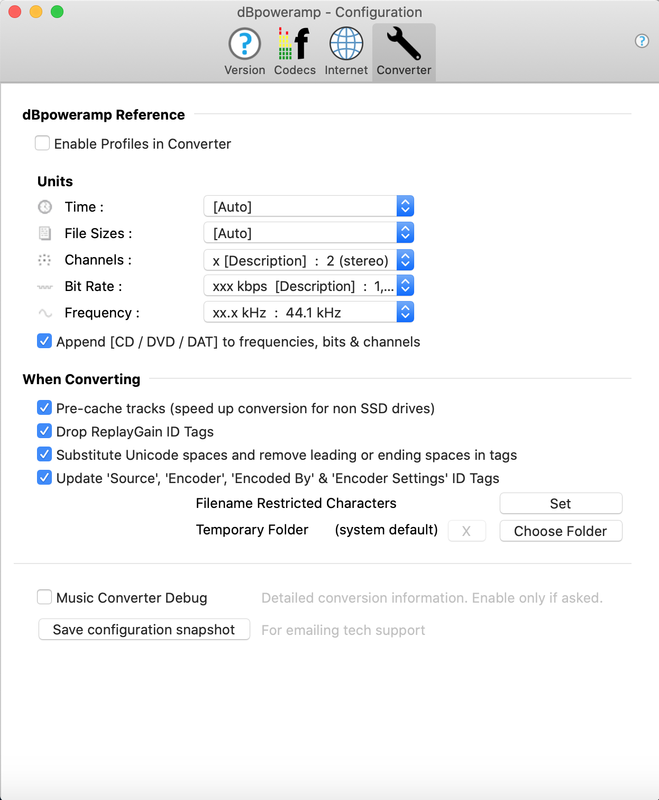 Enable Profiles in Converter when checked places a menu item [Create New Profile] into the 'Converting To' encoder selection menu within the Music Converter Menu, to create a profile based on the current encoder. This allows encoder settings and DSP effects to be saved when the same encoder is used with different settings commonly and switch between them. The units can be customized, these values are used in various parts of the program. Pre-cache tracks is useful when reading from non-SSD drives as it reads tracks one at a time to internal memory before converting from that file. Filename Restricted Characters sets which characters are not allowed by the file system (such as *) and it is replaced by a suitable alternative. Temporary Folder sets the location where dBpoweramp will write temp files whilst converting, by default it is set to the system default temporary folder. Music Converter Debug all aspects of Music Converter can be configured to write a debug log file, which is useful in finding issues when something is not working correctly. When enabled after a conversion or a crash a log file is automatically shown.